The National Science Foundation’s (NSF) contributions to society will be the subject of a talk Thursday, March 10, at 4 p.m. at the University of Wyoming’s Berry Biodiversity Conservation Center auditorium. 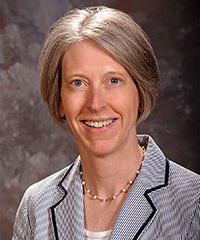 Carol Frost will present “Science to Benefit Society: The Role of the National Science Foundation.” Frost, a professor in the UW Department of Geology and Geophysics, currently directs the NSF’s Earth Sciences Division. The NSF is the only federal agency dedicated entirely to supporting basic research. It promotes the progress of science with 94 percent of its budget going to researchers and for student awards. Frost will discuss the portfolio of awards funded by the agency. She will explain how NSF identifies emerging science trends and develops solicitations to accommodate them; share strategies for successful proposals; and suggest ways that the science and engineering communities can communicate the value of their work.